The Trustees of IBEW Local 701 Welfare Fund are pleased to announce that Delta Dental of Illinois has replaced Dental Network of America (DNoA) as the Plan’s PPO network effective July 1, 2017. Use of preferred dental providers remains optional, but many more participants will be able to take advantage of the significant savings available by using preferred providers. 1-800-323-1743 (Mon-Thu: 7 a.m.-7 p.m., Fri: 7 a.m.-6 p.m.). 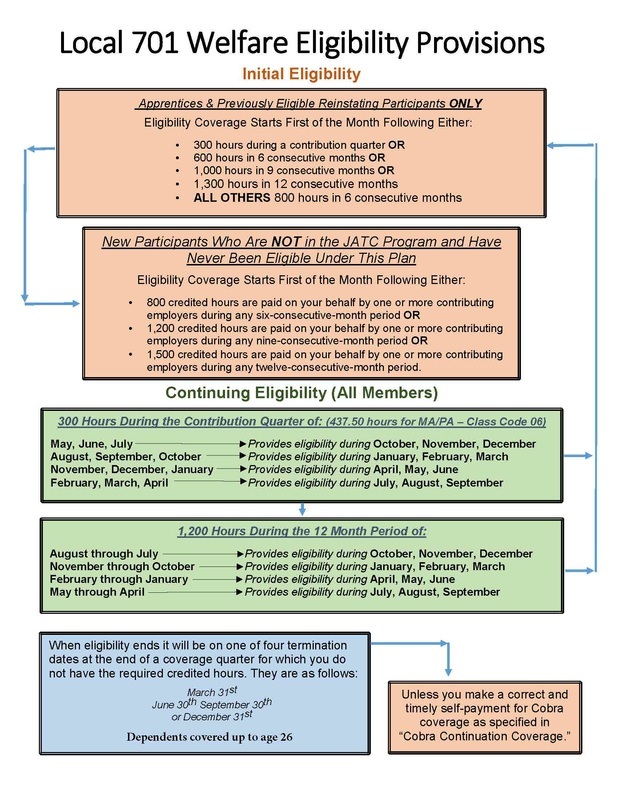 The Member’s Assistance Program (MAP) is part of your health and welfare benefit. Members and their eligible dependents have access to professional counselors. We can help you with depression, stress, anxiety, financial issues, stop smoking, and many other personal problems. If alcohol or drugs are a problem we can help with that problem too. Early intervention has shown treating psychological and substance abuse problems will improve the overall quality of your life. The sooner you call the sooner we can help!!! Our services are confidential.